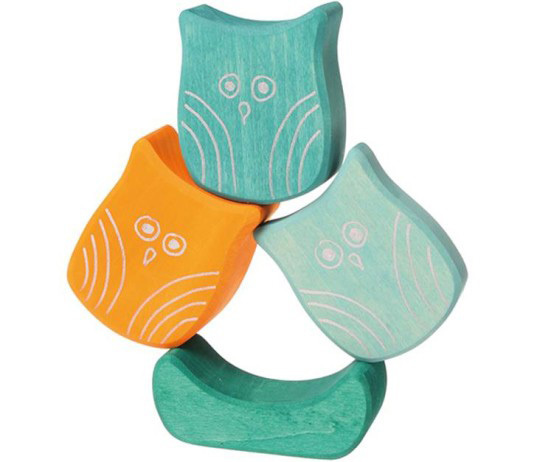 Not your average wooden block set, these are blocks with a quirky difference – small hands will have a hoot stacking this beautiful trio of owls in their nest! 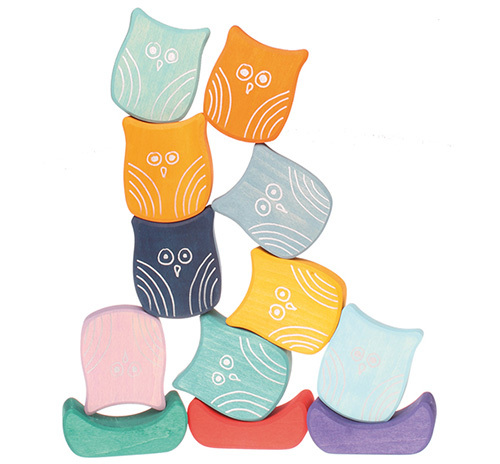 Romp’s Stacking Owls In A Nest set is a playful take on traditional, much loved wooden block sets. Each set is handmade in Bosnia from European hardwood and given a gorgeous wash of colour with water based stains. Available in two sublime colour sets, sea owls (serene turquoise nest) or mountain owls (funky red nest) each set includes three owls and a ‘nest’. Little ones need to find that sweet spot of balance to perch them on top of each other without toppling over. Suitable for children aged one and over, these owls are perfect to mix and match with other wooden block sets and are just as beautiful displayed on a shelf when not busy being stacked. Stacking Owls In A Nest are priced US$28 and available directly from Romp.